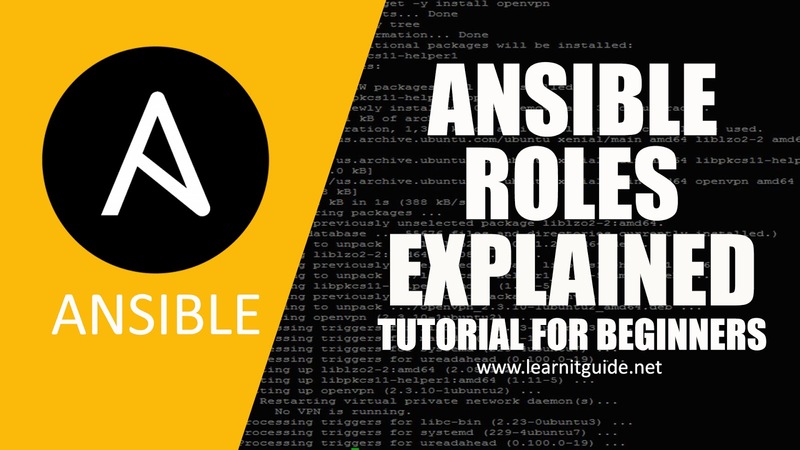 This article explains you about what is Ansible Roles and how to create Ansible roles with examples. 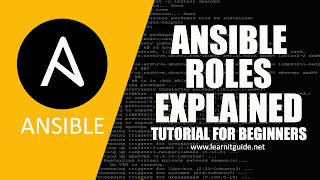 Also Watch this "Ansible Roles" Tutorial video on our YouTube Channel. 1. Ansible roles are consists of many playbooks, which is similar to modules in puppet and cook books in chef. We term the same in ansible as roles. 2. Roles are a way to group multiple tasks together into one container to do the automation in very effective manner with clean directory structures. 3. Roles are set of tasks and additional files for a certain role which allow you to break up the configurations. 4. It can be easily reuse the codes by anyone if the role is suitable to someone. 5. It can be easily modify and will reduce the syntax errors. How do we create Ansible Roles? To create a Ansible roles, use ansible-galaxy command which has the templates to create it. This will create it under the default directory /etc/ansible/roles and do the modifications else we need to create each directories and files manually. where, ansible-glaxy is the command to create the roles using the templates. init is to initiliaze the role. offline - create offline mode rather than getting from online repository. List out the directory created under /etc/ansible/roles. We have got the clean directory structure with the ansible-galaxy command. Each directory must contain a main.yml file, which contains the relevant content. defaults - default variables for the role. vars - other variables for the role. Vars has the higher priority than defaults. files - contains files required to transfer or deployed to the target machines via this role. Lets take an example to create a role for Apache Web server. Below is a sample playbook codes to deploy Apache web server. Lets convert this playbook codes into Ansible roles. First, move on to the Ansible roles directory and start editing the yml files. Edit main.yml available in the tasks folder to define the tasks to be executed. Altogether, you can add all your tasks in this file or just break the codes even more as below using "import_tasks" statements. Lets create install.yml, confgure.yml, service.yml included in the main.yml with actions in the same directory. Copy the required files (httpd.conf and index.html) to the files directory. This is a homepage created by learnitguide.net for ansible roles. Edit handlers main.yml to restart the server when there is a change. Because we have already defined it in the tasks with notify option. Use the same name "restart apache" within the main.yml file as below. Edit meta main.yml to add the information about the roles like author, descriptions, license, platforms supported. # If this a Container Enabled role, provide the minimum Ansible Container version. We have got all the required files for Apache roles. Lets apply this role into the ansible playbook "runsetup.yml" as below to deploy it on the client nodes. We have defined this changes should be run only on node2, you can also use "all" if need. Specify the role name as "apache", also if you have created multiple roles, you can use the below format to add it. No errors found. Let move on to deploy the roles. That's it, We have successfully deployed the Apache webserver using Ansible Roles to the client node "node2". Login into the client node "node2" and verify the following things. Access the webpage using elinks command or using browser, you will be able to access it.